Adding muscle mass can be tough, especially for hard gainers. 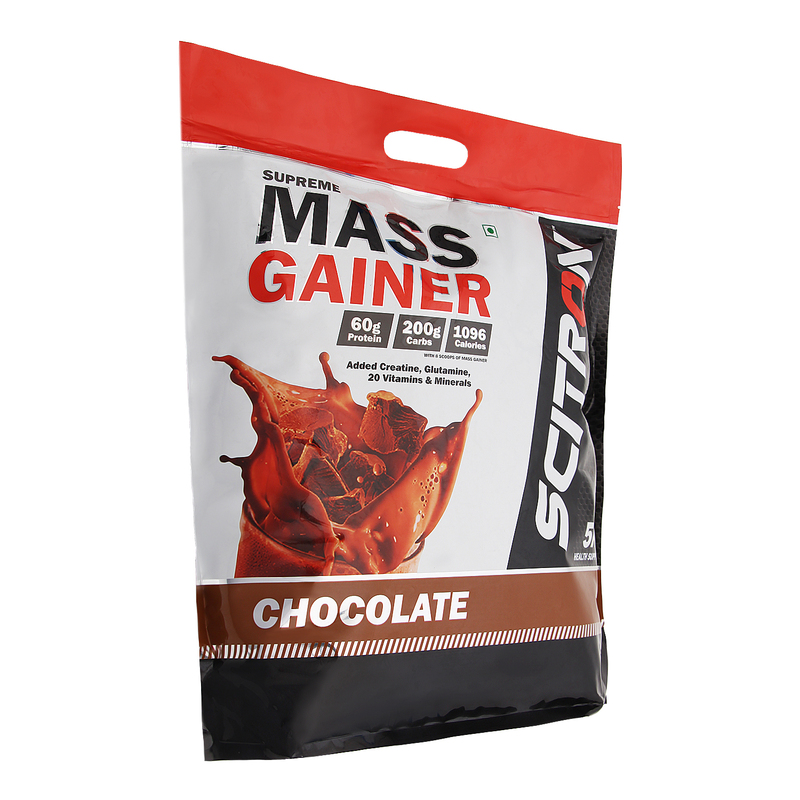 With the right amount of functional calories and complex carbohydrates, Mass Gainers work effectively to increase calorie intake and build ‘bulk’ or muscle mass. 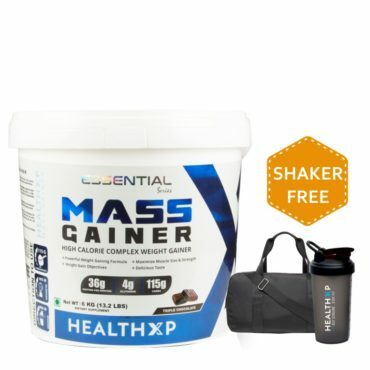 When used in sync with a balanced diet and regular workouts, Mass Gainers work effectively to provide quality macronutrients that lead to enhanced muscle development. 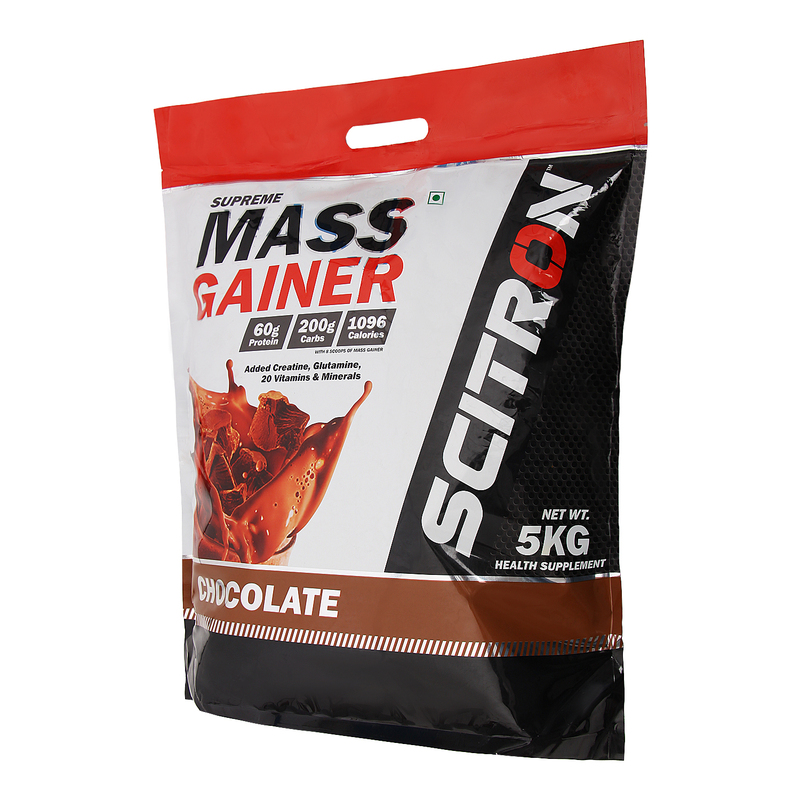 Scitron Supreme Mass Gainer has a 3 : 10 protein to carb ratio and delivers 60g of protein and 200g of carbs in 8 scoops to fill in the overall macronutrient gap required to gain muscle mass. Scitron Supreme Mass Gainer has added Creatine, a compound found naturally in muscle cells that helps in increasing muscle mass. 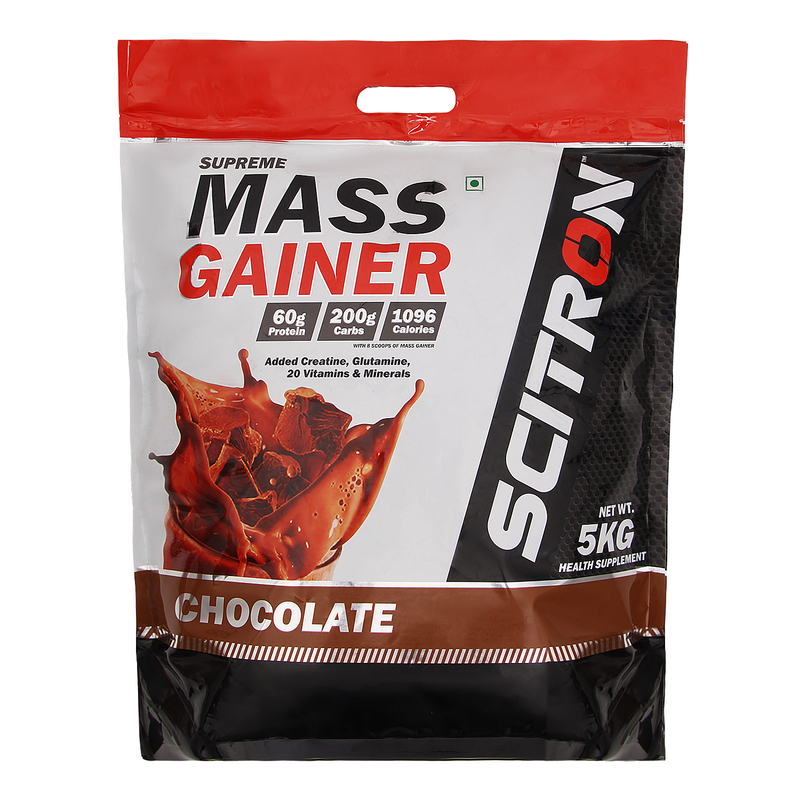 For the effective processing of proteins and carbohydrates and to deliver a strong nutritional profile, Scitron Supreme Mass Gainer is fortified with 20 vital vitamins and minerals. Scitron Supreme Mass Gainer is enriched with complex carbs, naturally occurring amino acids and essential vitamins to provide quality macronutrients that help in reaching a level of calorie surplus for muscle mass gains. 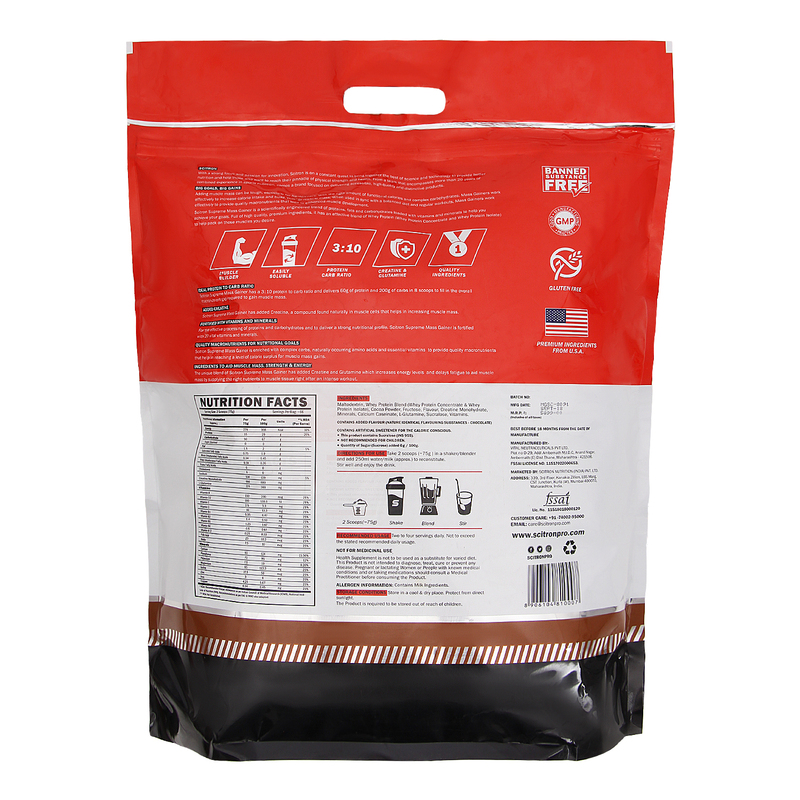 The unique blend of Scitron Supreme Mass Gainer has added Creatine and Glutamine which increases energy levels and delays fatigue to aid muscle mass by supplying the right nutrients to muscle tissue right after an intense workout. 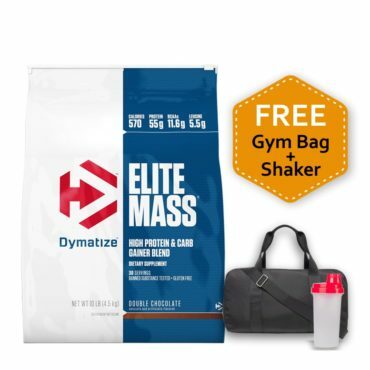 Maltodextrin, Whey Protein Blend (Whey Protein Concentrate & Whey Protein Isolate), Cocoa Powder, Fructose, Flavour, Creatine Monohydrate, Minerals, Calcium Caseinate, L-Glutamine, Sucralose, Vitamins. 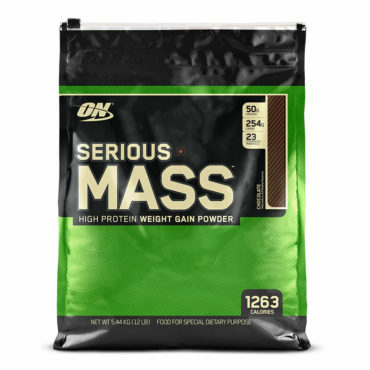 DIRECTIONS FOR USE – Take 2 scoops (~75g ) in a shaker/blender and add 250ml water/milk (approx.) to reconstitute. Stir well and enjoy the drink. RECOMMENDED USAGE – Two to four servings daily. Not to exceed the stated recommended daily usage. 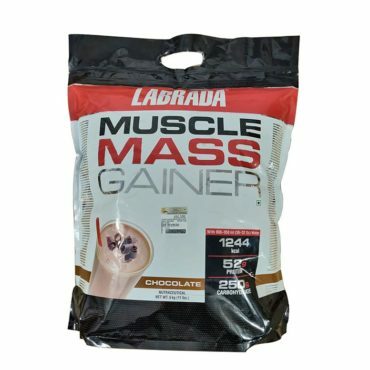 Best mass gainer to buy when I was started to consume this gainer my weight was 55kg now my weight went to 59.5kg in 20 days Best gainer. 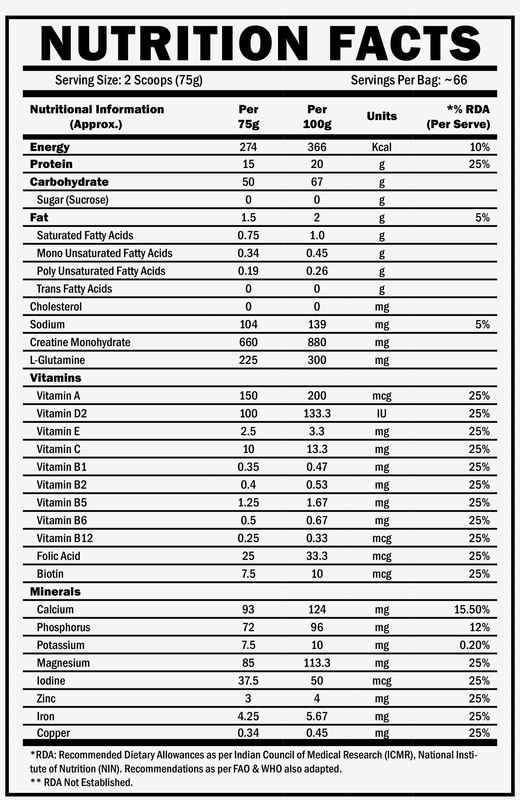 Good product with a Good ratio of protein and carbs.